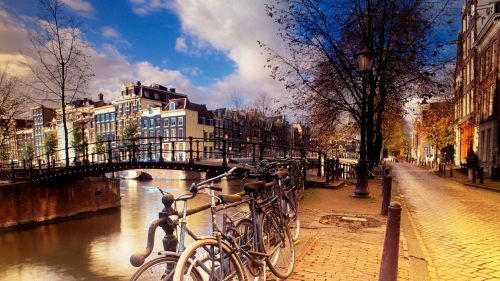 KLM has dropped the price of their late April and May 2017 flights from Regina to Amsterdam, Netherlands down to $689 CAD roundtrip including taxes. This is 35% below the typical best roundtrip price from Regina to Amsterdam. 1. Go to Momondo.ca or Skyscanner or directly to the KLM website. regina, yqr, flight deals, europe, western europe, central europe, amsterdam, ams, netherlands and klm. 3 Responses to "Regina to Amsterdam, Netherlands - $689 CAD roundtrip including taxes"
It is not 689$, the cheapest is 778 using your dates. What exactly dates did you use to make this pictures? And it is not with KLM!!! Mykola, if you are just seeing this deal now, you may want to sign up for the e-mail alert notifications. This was posted on November 16th, and a whole lot can change in 5 days when it comes to airfare prices, availability, etc. The key is to be one of the first to see it.